Get a great price on the iJoy Diamond VPC Kit from Vapor DNA. Ever wish your pod system had the battery life of an advanced vape mod? 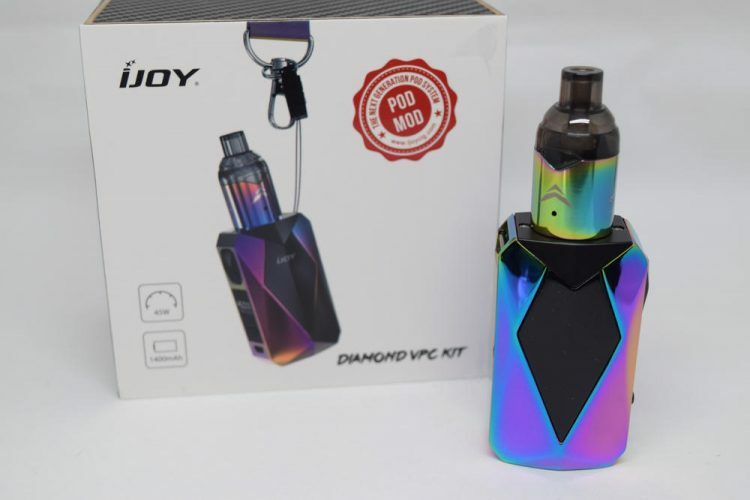 Well, your prayers have been answered, as the new iJoy Diamond VPC “pod mod” not only features great battery life compared to virtually all the pod systems on the market today, but it’s also compatible with popular pods, like JUUL or Mylé. So you can now enjoy your favorite pods for a lot longer without worrying about recharging. This could really be a game changer. 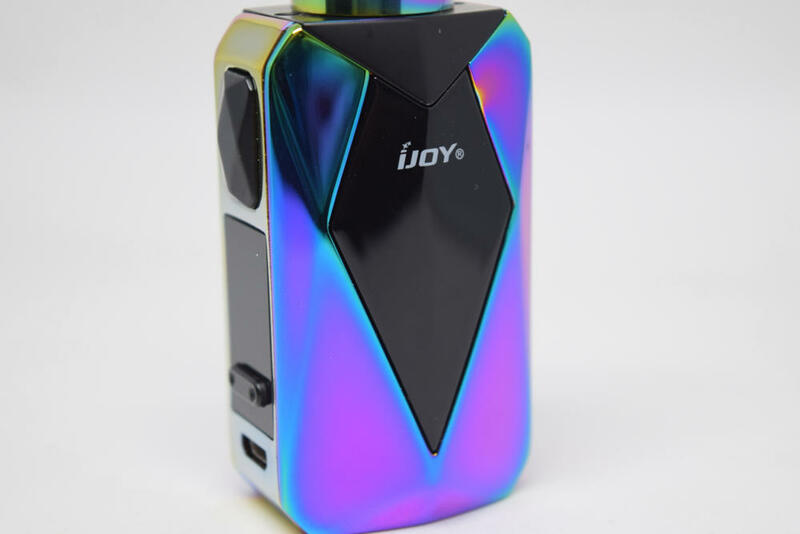 It’s been a while since I last reviewed an iJoy kit and the Chinese company has apparently made some changes to their packaging. The Diamond VPC kit comes in this sturdy compressed cardboard box that’s actually more of a fine case and comes wrapped in a sticker mimicking carbon fiber. The wrapper features a picture of the assembled Diamond VPC setup on the front, and a thorough description of the device, a list of kit contents and the mandatory warnings, on the back. Inside the slick case, we have the iJoy BAE mini mod, sitting next to a Unipod, an atomizer that looks like a tank but is actually a pod holder compatible with the Chinese company’s proprietary pod, as well as several types of pods produced by other manufacturers. 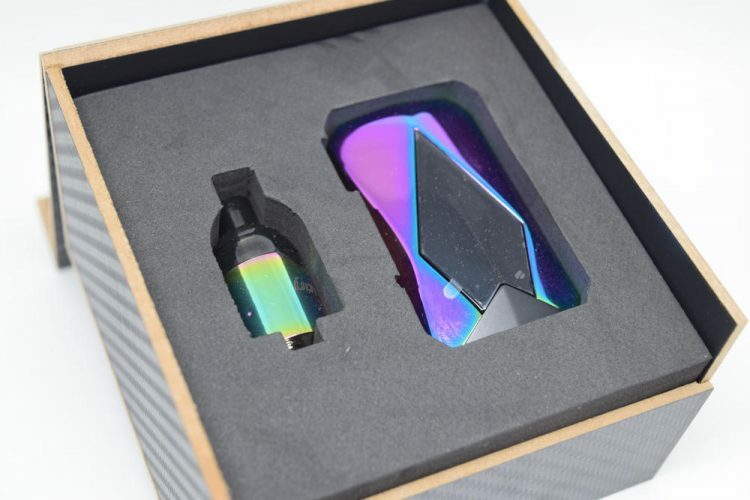 At the bottom of the box, you’ll also find a bunch of accessories, including a lanyard, a micro-USB charging cable, a pod adapter for use with various types of pods, a silicone cap for the iJoy VPC pod included in the kit, as well as a user manual for the BAE mod and a warranty card. It’s nice that iJoy threw in a lanyard, if you’re the kind of person who uses them, but I would have much rather seen a second pod included in the kit. As a beginner or intermediate user, you can easily destroy a pod by simply attaching it to the mod and pressing the fire button for only a second. Once that cotton wicking around the coil is burnt, there’s no getting that burnt taste out no matter how much juice you put in it. So why not include a spare, just in case? 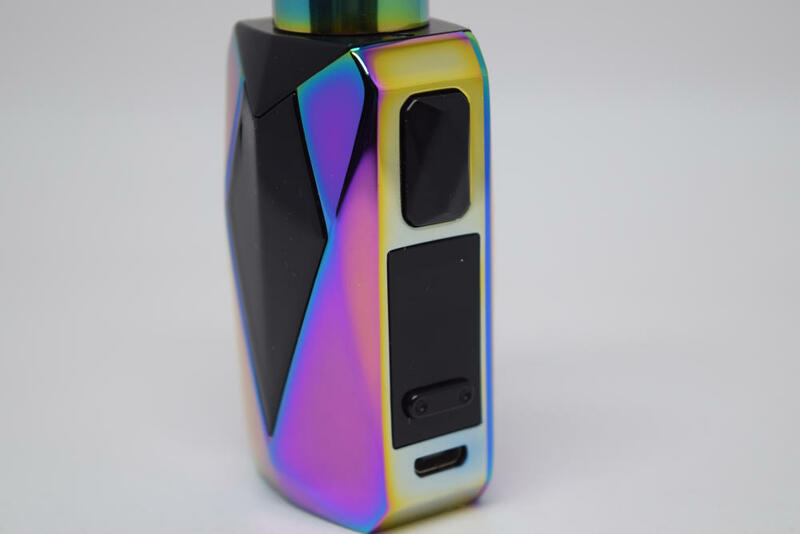 The iJoy BAE mod, which, interestingly, isn’t listed on the iJoy website but is already carried as a pre-order by several online vape stores, is very similar to the company’s Diamond PD270 mod in terms of general design, but considerably smaller and much more modest in terms of features and power output (only 45W). The BAE is made primarily of zinc alloy, measures only 34mm x 27.5mm x 60mm, and is currently available in 13 different colors, including orange, pink and rainbow. This is an extremely small vape mod that will easily fit into your pocket. It’s also very light, which makes it ideal for vaping on the go. 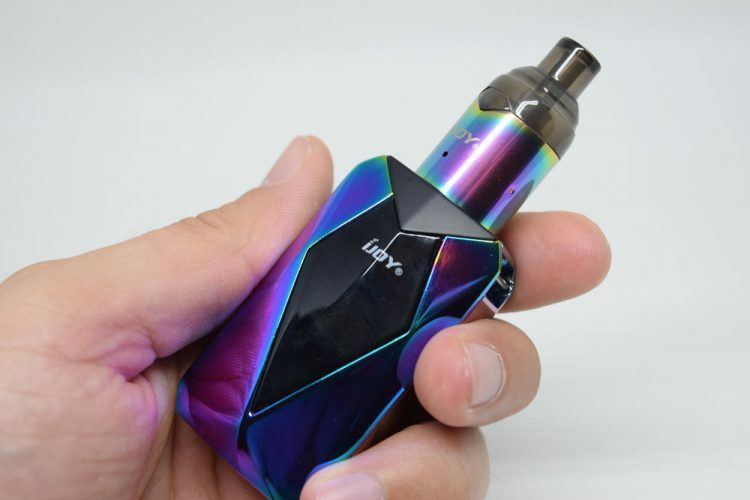 Compared to most vape mods these days, the iJoy BAE is a bare-bones device, but considering it is aimed at pod system users, it’s actually a good introduction to more advanced vaping devices, should they ever want to move on to mods. 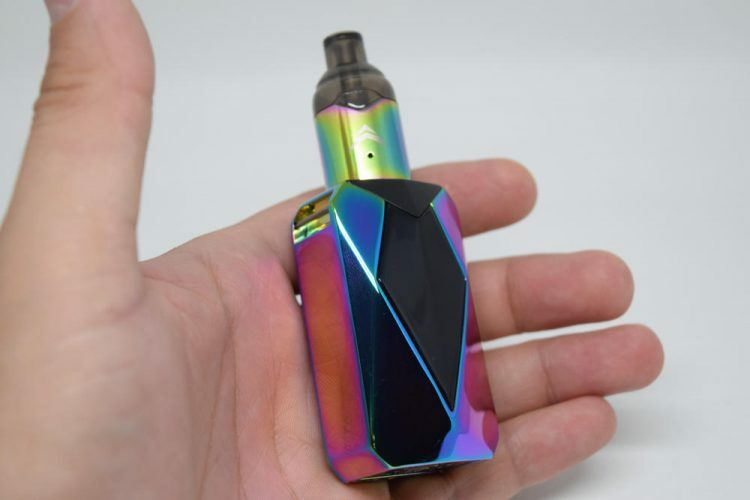 It features a clicky fire button, two ‘+’ and ‘-‘ buttons and a small display that only shows the power output, the resistance of the atomizer, a battery indicator and a puff counter. The rectangular display looks much larger than it actually is. Only the top third of the display panel is taken up by the screen, with the rest being wasted space, which is kind of disappointing and feels like a wasted opportunity. Underneath the two adjustment buttons we have a micro-USB port for charging – the BAE is not firmware upgradable – on the bottom we have some venting holes for the built-in, non-removable battery, and on the top corner opposite the fire button we have the lanyard adapter, if you want to attach it to the included lanyard. The menu system, if I can even call it that, can be accessed by pressing the fire button three times rapidly. Here, you are presented with a bunch of operating modes, including Power (for use with other atomizers), Pod (for use with the included iJoy pod), Jewel (for use with JUUL pods, Myle (for use with Myle pods), Juno (for use with Juno pods) and Puff Rst, which resets the puff counter. Basically, in every mode except the Power mode, the mod sets the exact power output that JUUL, Myle or other pod systems have to replicate the same vaping experience you would get using the original device. 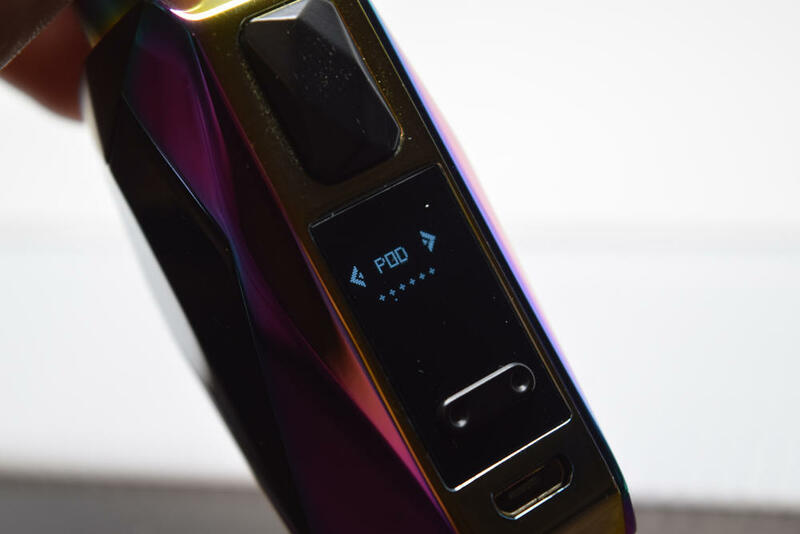 You actually can’t adjust the power when you’re in one of these modes, so if you want more control over the vaping experience, just select Power mode. 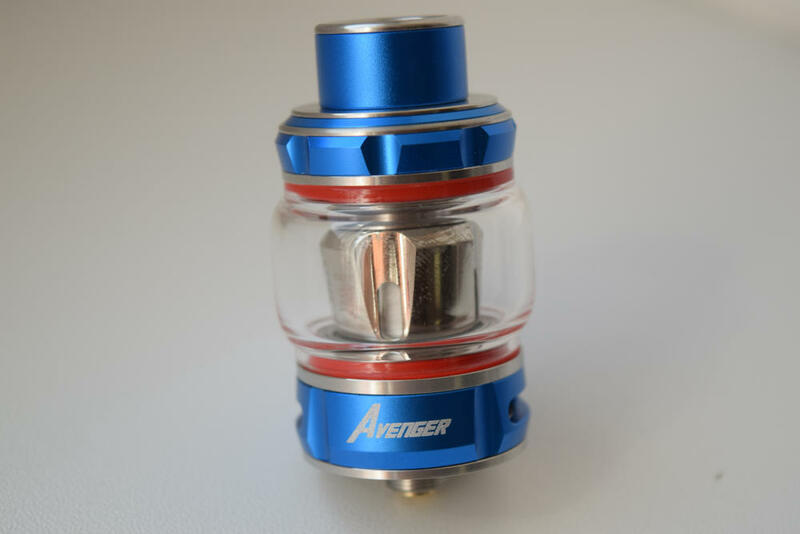 The atomizer, or Unipod is actually just a metallic holder for the included iJoy VPC pod, or any of the other supported pods. With the iJoy pod all you have to do is align the notches on the pod with the cutouts on the Unipod holder and just stick in there, while withe the other types of mods you have to use the included Unipod adapter, which is very easy to do. Just stick the pod in the rubberized adapter and stick it into the holder. 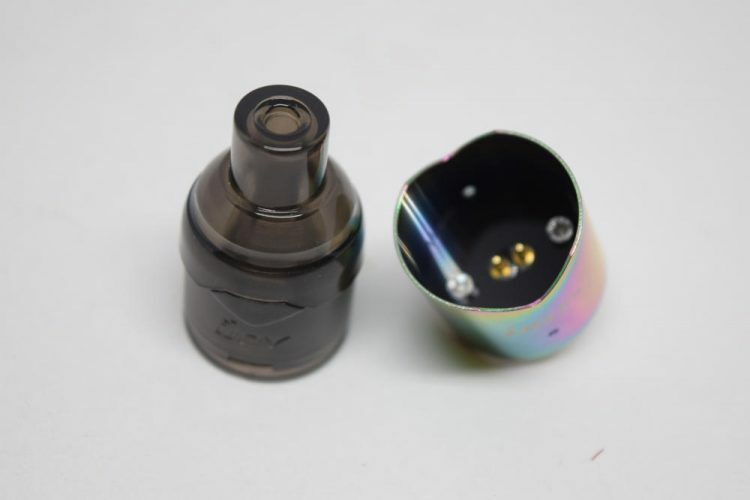 The iJoy VPC pods look like smaller plastic tanks with built-in plastic drip tips, metallic contacts on the bottom and a small fill port on the side. All you have to do is remove the silicone plug, fill it up with juice, let it wick for a few minutes, and you’re good to go. The VPC pods feature 1Ω ceramic coils, which is a questionable decision on the part of iJoy, considering the controversy regarding ceramic coils these days. 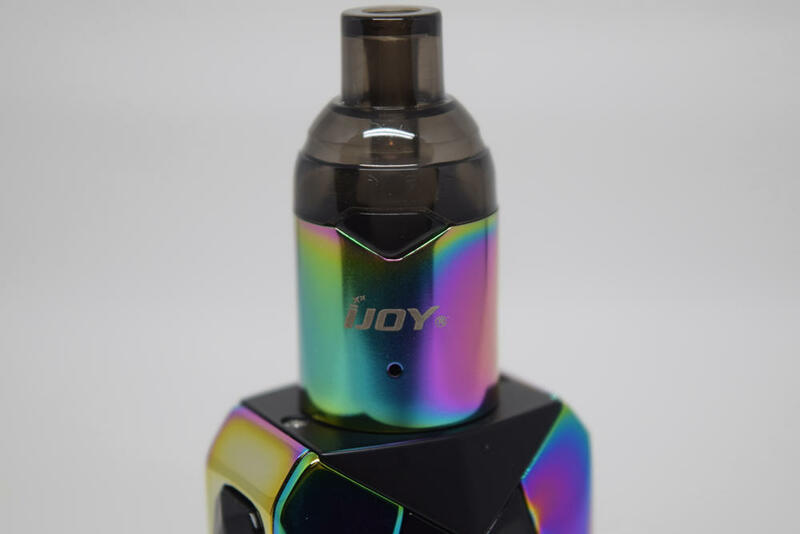 Luckily you can use the Unipod with a bunch of other pods – JUUL, Mylé and Juno are listed in the BAE mod menu, but the iJoy website also mentions Phix pods, so it may actually be compatible with a wider range of pods. This is definitely the main selling point of this device, and truth be told, it’s pretty damn appealing. You can use it with your favorite pods, or experiment with new ones, all while enjoying a considerably longer battery life. What’s not to like? 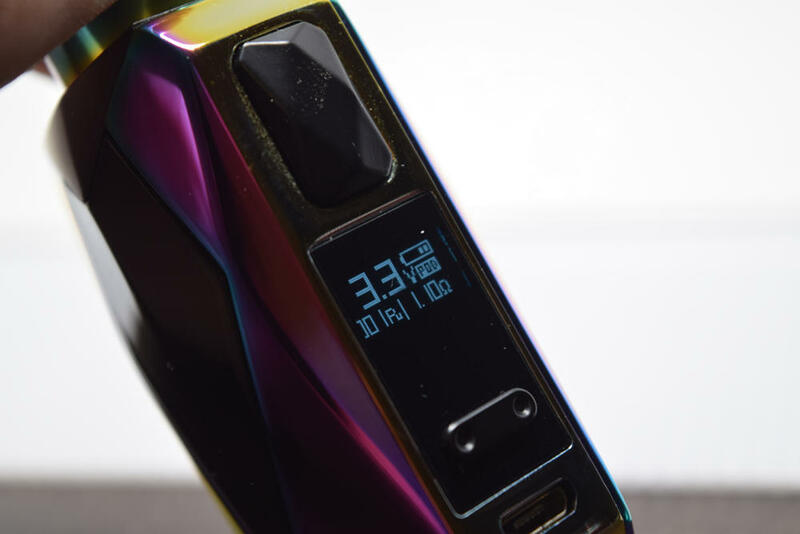 The battery life of the BAE mod depends a lot on the set power output, which ranges from 1W to 45W, but what I can tell you is that this device features a built-in 20350 battery rated at 1,400mAh. 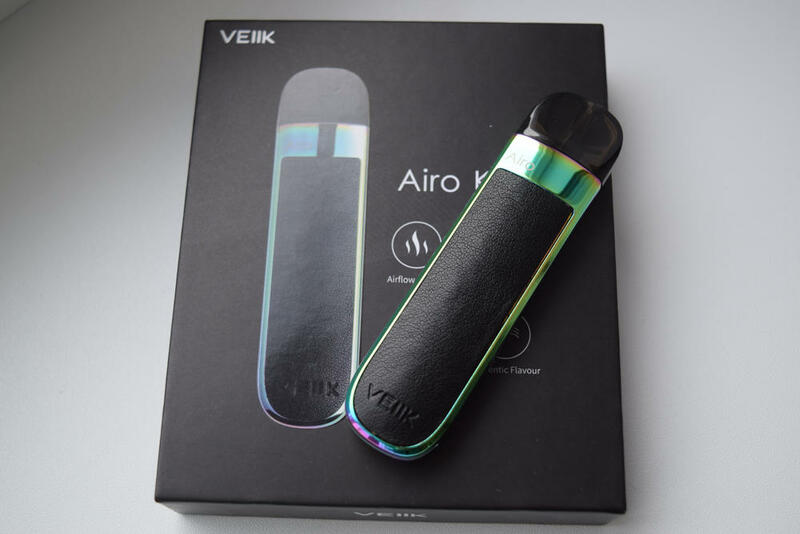 Considering that the JUUL has a rating of just 200mAh, and very few pod systems on the market are rated at over 450mAh, you can expect very good battery life out of this device. The only complaint I have about the BAE mod in regards to the battery is that it’s non-removable. I would of had no issues with that, had iJoy not specified that it is actually powered by a cylindrical 20350 battery, the kind you can buy separately and that iJoy themselves sell. So why not make the battery removable, saving me the trouble of having to recharge the mod every time it runs out of power? For some reason, they just thought sealing the battery inside was a better idea, which I don’t agree with. If it’s any consolation, the BAE mod does have passthrough functionality, so you can vape on it while it is charging. Performance-wise, I can’t say the iJoy VPC pod is anything to write home about, to be honest. 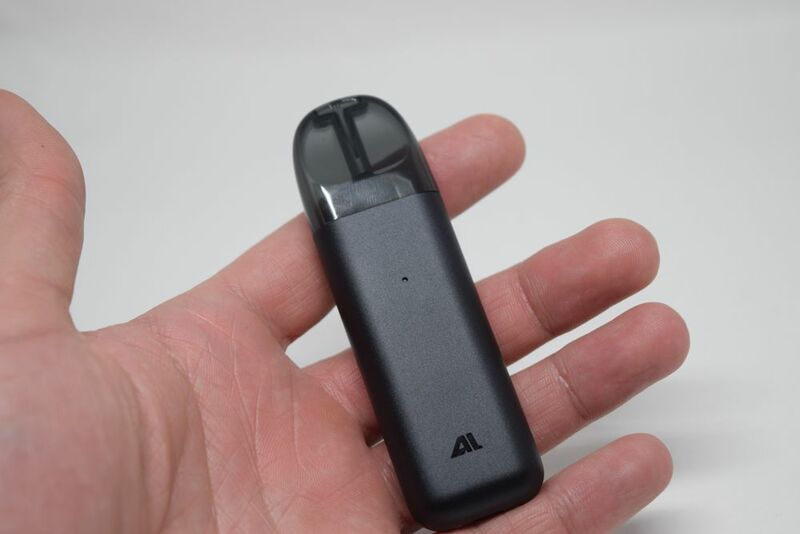 First of all, I’m a lung-inhale vaper, but even if I were to compare it to other pod systems I’ve tried lately, like the Suorin Vagon or Wismec Motiv 2, it just wasn’t a very good vape. First of all, the juice had a funny taste the first few puffs, and even after that, the draw was a bit too airy to mimic smoking a cigarette and way too tight for a direct-lung hit. It was in that weird in-between space that nobody likes. On the upside, that Unipod system is compatible with lots of different pods, so even if you don’t like the VPC pod, there are plenty of others to try. The iJoy Diamond VPC scores a lot of points on innovation and accessibility. This is the first device I’ve ever heard of that offers compatibility with competitor’s pods, and I think that alone deserves two thumbs up. The battery life is so much better than virtually all pod systems out there, the build quality of the BAE mod is actually quite nice and it even features working modes for each compatible pod. On the downside, the iJoy VPC pod really isn’t very good, and the price point for this kit is pretty high compared to conventional pod systems. Yes, I still think it’s worth it in the long run, for the battery life alone, not to mention the possibility to switch pods, but I fear it may be prohibitive for most casual users. The iJoy Diamond VPC kit was sent to me by Heaven Gifts for the purpose of this review. They currently have it in stock for $63.90. Just bought this device I’m new to vapeing. Seems to work great! Hope it last along time. I’ve found that the battery is in fact remove-able! It’s not proprietary or hard to find either. You just remove two hex screws and one philips screw. There’s no reason to remove it with built in charging, but it’s piece of mind for when it wears out. A $12 battery replacement sure beats spending $68 to replace the whole unit. By leaving the screws out, it still hold together secure enough to hot-swap spare ones. But if you use this for nic-salt or pods you will never run out of battery anyway. This vape is great!! Whether you’re showing off to all your college friends with Juuls or just the average vaper, this vape is solid. It lasts a very long time with the juul pods and ijoy pods…haven’t used it with any thing else yet. It usually lasts about 2+ days with me vaping all day long. I do manage to get a little spit up though somtimes with the ijoy pods when laying down while vaping but other than that, this is the best tasting and most versatile vape I’ve ever bought! !